Guillaume Staal is a Senior Associate at Dickinson Gleeson and an Advocate of the Royal Court Of Jersey who joined the firm in April 2012. Guillaume’s principal areas of expertise are in trust and commercial litigation. Guillaume advises clients in respect of a range of issues including contractual disputes, enforcement of foreign judgments and associated freezing and disclosure orders and insolvency matters. Guillaume has been involved in a range of innovative Jersey cases including securing an interim freezing order over a trust in aid of proceedings brought by a non-beneficiary before overcoming the ‘firewall provisions’ of the Trusts (Jersey) Law 1984 to obtain directions in Jersey giving substantial effect to an English order setting aside the trust ( JRC 267A), one of Jersey’s first statutory Hastings Bass and mistake cases ( JRC 048), and establishing that a common intention constructive trust may (as a matter of Jersey law) arise in relation to a loan account to a Jersey company ( JRC108). Guillaume is also regularly instructed in relation to employment and planning law matters. 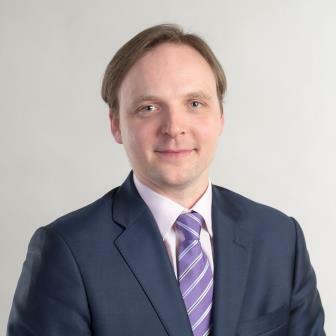 Prior to joining Dickinson Gleeson, Guillaume worked for Jersey’s Attorney General within the Jersey Law Officers’ Department, providing advice to Ministers of the States of Jersey and governmental departments in relation to a range of issues including human rights law, European law, constitutional law and as to statutory interpretation. He also worked as a legal adviser to the States of Jersey Police making numerous court appearances as a prosecutor. Guillaume graduated with an LLB English and French Law from King’s College London and a Maitrise en droit (French law degree) from La Sorbonne, Paris. Guillaume is also a native French speaker. Guillaume is described as “responsive, considered and pragmatic” by Legal 500 (2018).